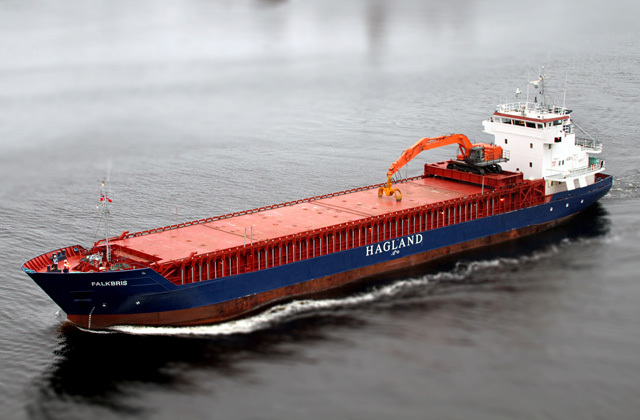 Falkbris is chartered to Hagland Shipping. Managing owner is Falkeid Shipping. Hitachi excavator mounted on gantry, fitted with grab for bulk cargoes and logs. Bowthruster 184 kW, 2 moveable bulkheads, airdraft 24.0 m less actual draft.